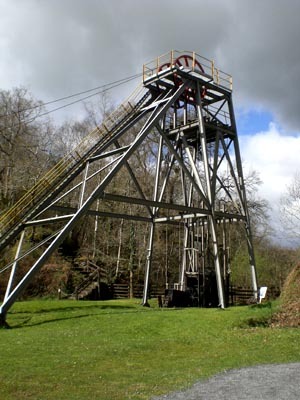 There are a number of similarities between the history of the Malvern Hills Goldmine and those at Dolaucothi, also known as the Ogofau Gold Mine in Carmarthenshire. Whilst the Malvern mine never went on to enjoy the acclaim of the Welsh mine, common aspects of the history of both make Dolaucothi worth noting. Today the Welsh site is operated by the National Trust as a visitor centre. 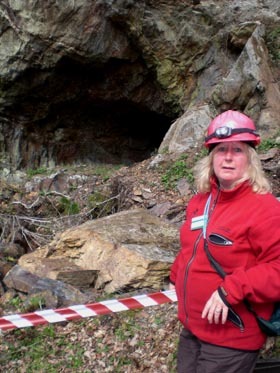 The Welsh mine lies about 90 miles west of Malvern and both locations are situated on the ancient geological collision belt that runs NE/SW across Wales and Scotland. The gold in Dolaucothi occurs in the white quartz veins and was believed first mined in the late Bronze Age, about 3 millennia ago. Subsequently the Romans were very active and much of the surface landscape today can be traced to extensive Roman open-cast and underground workings. As the Roman exploitation drew to a close the locality appears to have had little activity for 1200 years until in 1695 it is referred to in a reference work. This date coincides with the discovery of gold in Brazil. During the mid 18th century there were efforts to locate workable deposits and trail shafts were dug. It was not until the mid 19th century that the South Wales Gold Mining Company pursued extensive exploration. Little gold was found and the company closed in 1897. The early 20th century saw James Mitchell reopen the mine. Gold was found but it was not commercially workable. The operation closed in 1912. The 1930s saw new developments in the technology of mining that enabled gold to be commercially mined at Dolaucothi. At one time the workforce numbered about 200 and the ore was shipped abroad for separation. The mine closed for the last time in 1938. Water for the workings throughout the mine history came from the Cothi river which was transferred to the site via aqueducts etc. Today the buildings and 14 metre headframe are a combination of original 1930s and replacement items giving a good feel for what the site was like in the 20th century. In addition the National Trust provides visitor facilities, which include mine tours through some of the extensive network of underground tunnels and the opportunity to pan for gold, albeit only fool's gold has been found in the facility. The site is also a Site of Special Scientific Interest as a result of its geology and wildlife. The visitor centre includes an exhibition as well as food facilities. Right - Sandra's Rock: legendary guide Sandra stands by the massive rock that she deemed unsafe and subsequently was disloged from the tree roots that held it.